Preheat outdoor grill to medium-high heat and lightly oil the grate. Divide meat into 4 parts and make into patties. Lightly season both sides of the burgers with garlic salt. Place patties on the hot grill to cook. When meat is cooked to your liking, separate the fresh mozzarella slices, and place cheese on top of each patty. 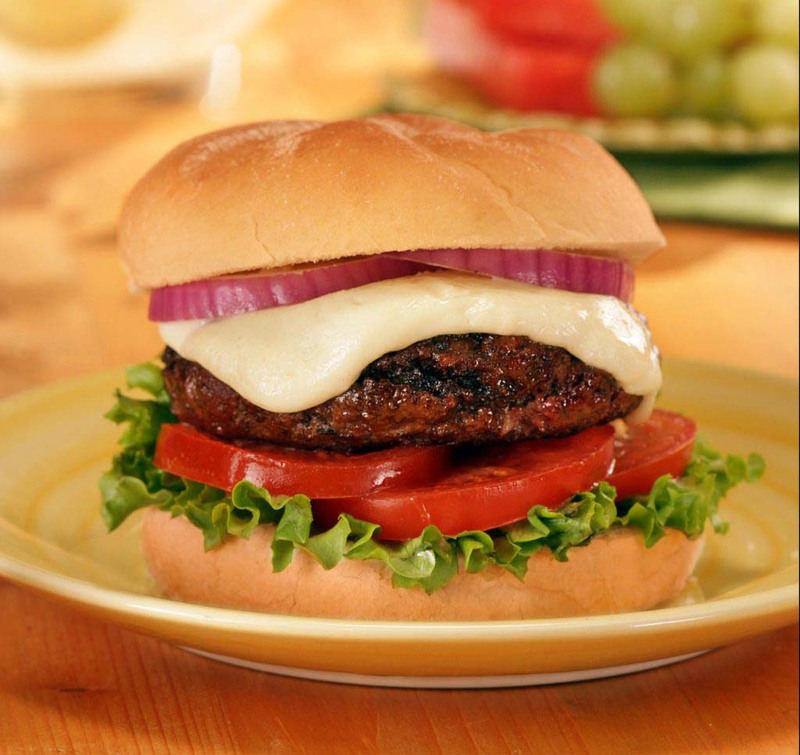 Transfer patty onto open bun and add your favorite condiments and toppings, to taste.